This was the year the country came out of recession. In 2017, Russia recorded 18% growth, despite earlier trade and financial sanctions. With a population of 1469 million consumers, the eighth biggest oil reserve in the world, the biggest natural gas reserve and a qualified labour force, the Russian market looks increasingly attractive and full of potential. 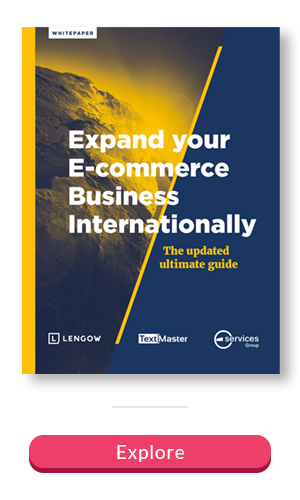 Want to know more about expanding your eCommerce business globally? Discover our free eBook! When making a purchase, Russian consumers look at brand and product quality ahead of price. In lower-income households, product lifetime is key. That said, although price is secondary, Russians do like a good bargain. Despite 57% of them looking at several shops to make sure they’re getting the best price, they always end up buying their favourite brands. They save very little money as they don’t trust the banking system and they spend most (80%) of what they earn. Neither branded chains, nor wholesalers, nor distributors, nor direct sellers are in any danger of going downhill in Russia over the coming years. They represent 68% of the Russian food market. Small discounters are currently enjoying the quickest growth. Russia comes fourth in Europe in this area and is the country with the most internet users. Some even say that in the next few years Russia is set to become the biggest e-commerce market in Europe. It’s a real hotbed of talent (developers, data scientists, etc. ), with developer salaries around 20 to 30% less than in France. However, start-ups sometimes have to deal with the immaturity of certain players in the sector. Kameleoon, a platform specialising in personalising the user experience created in 2009, has experienced this. For Jean-Noël Rivasseau, Kameleoon founder and CTO: ‘Russia is three or four years behind France when it comes to e-commerce.’ Staff turnover can also be hard to manage (people stay in post for six months on average), and then there’s all the administration required. Jean-Noël explains that in France he has a standard contract for all prospects. In Russia, however, the legal services re-write them, pushing back the official signing date by two months. Despite this, there’s a key takeaway here: big accounts are accessible. ‘You can easily find the details of those high up in organisations and if your solution meets a need of theirs, it’s quite easy to secure a meeting.’ Having set up in Russia, Kameleoon aims to triple its 2017 Russian turnover by banking on this rapid e-commerce recovery! If you want to launch a digital product in Russia, you need to be aware of this law. It requires companies to store the personal data of Russian citizens on Russian soil. When checks first came in (the law has been in force since 1 September 2015), 30 sites were blocked, while Twitter and Facebook were required to regularise their situation. In 2016, sales of luxury goods grew by 42%. The same year, the luxury market was worth 35 billion euros. And another crazily high number: the collective wealth of the 200 richest Russians is 460 billion dollars. There’s no doubt about the country’s spending power! The design sector wins the prize for being the most developed market in Russia and has huge potential. France has always been seen as luxurious and refined, while people appreciate Western lifestyles and anything generally viewed as sophisticated. Seek support when creating your business: to save time, Evangeline asked two service companies to help with legal matters when creating her business and make sure immigration rules were obeyed. Go above and beyond the initial encounter as they can be difficult, yet Russians like it when foreigners take an interest in their culture! Follow the rules: get to meetings on time, arrive prepared, etc. A word of advice for those looking to launch in Russia? Forget all the clichés! Russia is a unique country with its own culture, past, history and customs, but it has enormous potential and offers entrepreneurs who make the effort to get to know it some fantastic opportunities.